I think you may also familiar with the Facebook, Twitter like social networks. Now Google plus also has added to it. I think it is better to mention blog is also as a type of social network or platform which allows you to express your feelings. In addition some people use the blogger as a way of networking and exchange the data knowledge though out the world. Also it is worth to say that it is a good earning method too. How can we start a blog........? are number of platforms which are totally free. I think Blogger and the Wordpress are the most popular ones. So better to use one of them and start blogging. What do you want to start a blog.......? First I think most important thing that you should have is potential of writing some articles. It does not whatever your language. Other thing is you can upload photos,if you are good photographer. Or even videos. Other important thing is the niche of writing. It should be the speciality of yours. Even if you do not have such, you can write. But at last you should have a email account. I think better to have Gmail if you prefer to use Blogger. But there is no problem whatever your email is. How you can start a blog........? Here I have selected the Blogger. You can even select some other like Wordpress. Any other platform is also okay. You can enter your email address and simply log in here. you can see the blogger start page and you can visit the dashboard from there. By selecting the template you can change you template. In addition to these types. Different people have created various template and you can get them. 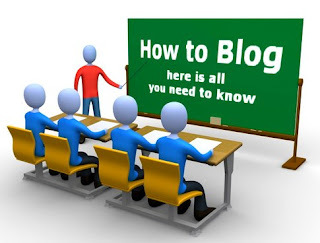 start you blog on specific topic. If you like you can use multiple languages. How to add a image link to your blog post.....? How to earn more money from microworkers.....?